Help! I’ve Misplaced My Modifier. Humorous Story to Explain Misplaced Modifiers PRODUCT DESCRIPTIONThis humorous story helps students to learn about misplaced modifiers. Students are given the task of finding the misplaced modifiers in this story about a child's birthday party. Answer key included. Electromagnetic Energy Story (Creative Writing Activity about Science) PRODUCT DESCRIPTIONThis creative story shows the path of electricity from a neutron’s point of view. Students are asked to write their own stories that relate to a scientific topic. The World’s Most Loyal Dog: A Nonfiction Story With Questions PRODUCT DESCRIPTIONI am a professional author as well as a teacher, and I wrote this story about Hachiko, the amazing Japanese dog who spent about a decade waiting at a train station for his master who had died. This story comes complete with vocabulary and comprehension questions. Beware of Cooties Here’s a bonus story that one cannot buy individually on TPT. I fear it will never find a home due to its shocking ending, but none-the-less, it’s one of my favorites that must be shared. If you dare to share it with the kids, I promise they’ll get a laugh. Enjoy! 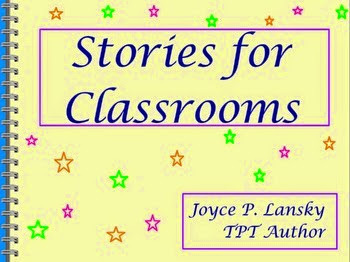 I have plenty of stories and reading activities at my TPT store. Won't you please stop by?